I was rostered to fly out of Wrocław (pronounced vrots-wahf for those us who aren't fluent in Polish! ), for a couple of days this month, and took the opportunity in-between flights to explore. Although Wrocław is less popular than its touristy sisters Krakow and Warsaw, its the largest city in Western Poland; with a varied heritage creating a unique character compared to other areas of Poland I've visited! 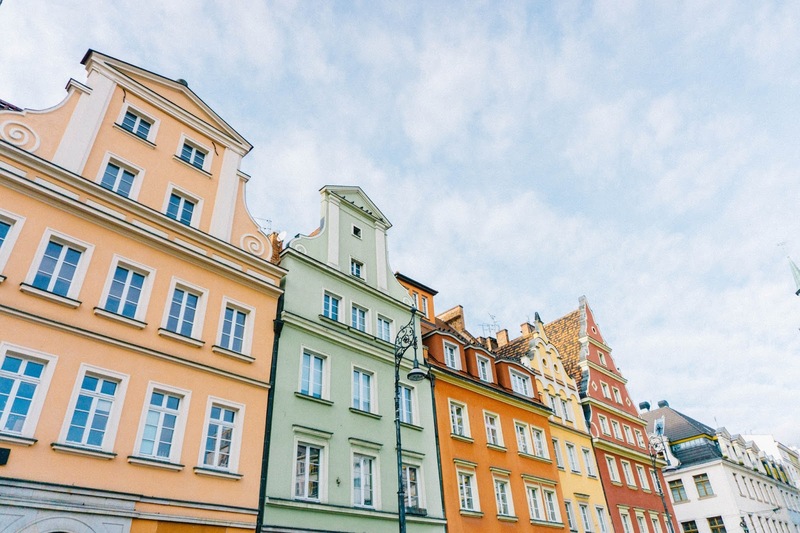 Now a bustling student city, Wrocław has an interesting history; it was part of Nazi Germany up until 1945 and is home to the Panorama of Racławice, a giant painting depicting the battle for Polish independence from Russia back in 1794. I was approached by Pav, an aspiring pilot with a brilliant idea; creating a space online where pilots flying various aircraft can share their experience and advice to those wanting to follow in their footsteps. You can find my original interview here, alongside other pilot's stories about thier route to 37,000ft! For as long as I can remember, I’ve wanted to fly. I still vividly remember a conversation I had with my Dad whilst I was still young enough to be having bedtime stories about flying airliners and travelling the World. As I grew older, I would watch the gliders soaring over my home just outside of Newcastle. The club eventually let me join when I was 11 years old after pestering them for a year, and after my first flight in a Puchacz glider I really caught the ‘flying bug!’. My time at the gliding club (and later the Air Cadets) made me realise that I didn’t just love flying, I enjoyed working as part of a team, meeting new people and sharing experiences with those with similar interests to mine. I still feel unbelievably lucky that my job enables me to experience all those things daily! I was originally meant to study in Ireland, but unfortunately the company went into liquidation before I had the chance to start. During this time, the Irish Aviation Authority contacted CAE Oxford Aviation Academy and I started shortly after was originally planned, with Oxford honouring my initial entrance exam and deposit with the previous school. I decided an Integrated course was the best way for me to study, and I sat my ATPL Ground School exams in Oxford before going on to do my Multi Engine CPL in Phoenix, Arizona. The final part of my Frozen ATPL took place back in Oxford, where I flew multi-engined aircraft using only its instruments for my Instrument Rating. 3. What aircraft did you fly during your initial training? As mentioned previously, I started flying gliders, and then I went on to fly Piper Tomahawks in the North West of England. At the time I could use a percentage of gliding hours towards a PPL, but I decided to go the Integrated route for my full Commercial Pilot’s Licence. At Oxford my course were one of the first to fly their brand new Piper Archers, with glass cockpits with Garmin 1000 instruments. We then went back to basics flying multiengine Piper Senecas, with conventional instruments. I believe that Oxford now have an all glass fleet, but I love that I got the chance to fly both! 4. What was your hardest part of training? As I had previous flying experience, I found the ground school the hardest. Although I’ve always been conscious that maths is important for becoming a pilot, it’s never came naturally to me and I found wrapping my head around a couple of maths heavy subjects such as General Navigation challenging. The ground school was intense, with school exams as well as the 14 ATPL exams adding up to a total of 39 exams in about 6 months. If I didn’t understand a certain subject, I couldn’t focus too much time on it as then the other subjects would suffer. It was definitely a huge lesson in time management, and I had to change my way of learning things as I used to waste time writing pages and pages of notes! 5. What advice would you give to aspiring pilots? Honestly, becoming a pilot is a huge financial commitment. Ensure you are aware of all the costs involved, the initial flight training, the type rating, any extra exam or flight fees. The company I initially chose to train with went bust, never ever give a flight school the full sum of money at once, and ensure you know exactly who you are giving your money to! Apart from the financial side, enjoy the flight training, ensure you are prepared and be ready for your whole life to revolve around getting that pilot’s licence; it certainly isn’t easy but you’ll meet some amazing people and have some incredible experiences along the way. 6. What has been your best moment in the air? It’s hard to choose, there are a few moments flying that I look back on fondly! I was lucky enough to fly 14,000ft in the Canadian Rockies before I was old enough to fly solo in a Duo Discus, which was a whole different league of glider that I was flying back at home. As part of my flight training at Oxford I had 3 flights Upset Recovery Training in an Extra 300, with an F16 pilot as an instructor. As well as learning new flying skills, I had the opportunity to learn some aerobatics which I’m not sure I’ll ever have the chance to do again, including inverted spins and Lomcováks, as well as flying in formation with @pilot_shi and his instructor (who used to be an astronaut!). The first time I flew the 737 is a favourite memory too; it was such an incredible feeling advancing those thrust levers for the first time and knowing that all the hard work was worth it! 7. What is your favourite destination to fly to? I love flying home into Newcastle over the coast past St Mary’s lighthouse, hearing the familiar accent on the other end of the radio, and then departing past the gliding club I learned how to fly. Apart from home, Lisbon has to be a favourite as I love the approach over the suspension bridge, and I love flying into island destinations with their bright blue waters and sunshine! 8. What is the biggest misconception people have about your job? A lot of passengers still believe that women are unable to become pilots; British Airways’ studies showed that 20% of those questioned thought that women can only become cabin crew. Their study continued to show that girls didn't think of flying as a career due to a lack of visible role models, and because they were told it “was a man’s job”. Often passengers initially think I’m cabin crew, and in the last week alone I’ve had 3 passengers comment on the fact that I was flying the plane. I’m hoping that by the end of my career that it’s commonplace for women to fly planes too! 9. Was there something you wish you did prior to starting your flight training that would be beneficial for aspiring pilots to do? I feel lucky that I’ve wanted to become a pilot from such a young age; I don’t think I would have done anything differently! spent my summer in the year before taking my GCSEs writing to every airline I could think of asking for career advice, and I was always very focused on the end goal of a career in aviation. I feel that gliding was a fantastic way to start, and I gained a lot of useful experience from my time in the UK’s Air Training Corps too. I was unlucky with the flight school I was initially going to use going into liquidation, and looking back I was naive in believing that after achieving my frozen ATPL I wouldn’t have to invest more money to achieve that end goal. There were hidden costs along the way from the beginning, and it’s rare for an airline now to pay your type rating. Advice I received was from a different generation of pilots, and I hope current pilots will be honest talking those aspiring to fly about the financial side of things! If you have any other questions about my route to becoming an airline pilot, check out my original posts about my route to 37,000ft, and feel free to post below or on my Instagram! There are different types of turbulence, mainly from rapid changes in wind direction and strength, which make the aeroplane accelerate, decelerate, or move side to side. It’s these movements, sometimes several at once, that can be uncomfortable whilst flying as a passenger, make it harder to drink your gin and tonic, read your magazine, or from my end - do my inflight paperwork! An aircraft is designed to be stable, meaning if turbulence forces the plane from its original path, it is designed to return to its previous straight, level flight without any positive control from the pilots. 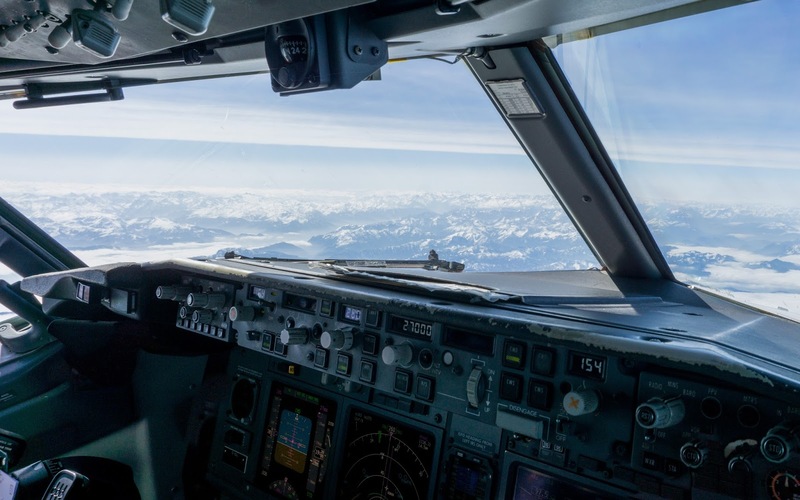 For most of the duration of the flight, the autopilot is flying the aircraft, and its job to keep the aircraft flying the way the pilots have commanded it to, even after being disrupted by any turbulent air. 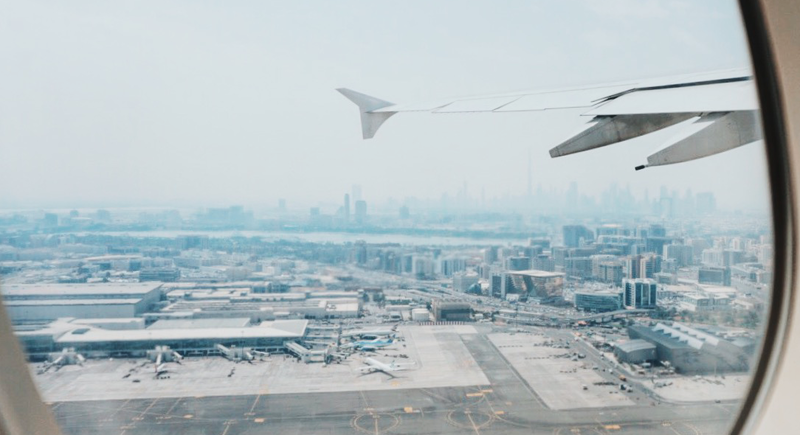 The main sensation during turbulence is the aircraft climbing or descending, potentially resulting in a feeling in your stomach similar to that you get from driving over a hidden dip in the road. IF YOU DISLIKE THE SENSATION OF FLYING DURING TURBULENCE, SIT OVER THE WINGS OF THE AIRCRAFT. The feeling of climbing or descending initially is the result of the turbulence, followed by the opposing direction as the aircraft reacts to it. These changes feel more drastic when sitting at the rear of the aircraft, as whilst the aircraft begins to climb, the tail moves downward and you will have the unusual sensation of being pulled out of your seat. If you sit over the wing, the aircraft pitches around its centre axis, resulting in a smaller sensation of movement as a passenger. The aircraft will rarely change altitude by any more than 50 feet, which honestly is insignificant in proportion to its cruising level of around 37,000ft. Although to some it may feel that way, I promise that the aircraft isn't falling out of the air, and the change of wind direction is never great enough to result in the aeroplane to stop generating its lift that it creates to fly! 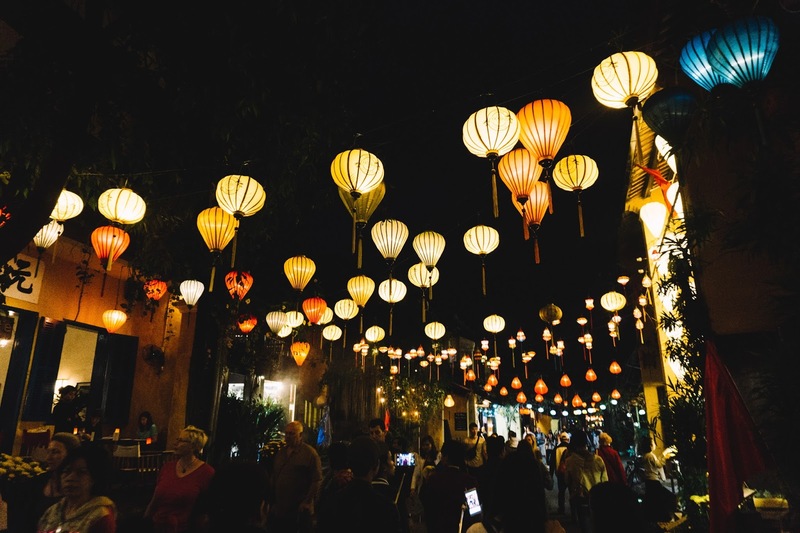 I stumbled across Hoi An's Full Moon Festival by chance, as I had originally planned to spend longer in Saigon, and then continue to do a whistle stop tour of Da Nang and Hoi An whilst en route to the North of Vietnam. However, after the chaos of Bangkok and a busy few days in Chiang Mai, I decided that I wanted to experience a different side of South East Asia, rather than spending my entire trip travelling its big cities! Looking back, changing my initial plans was one of the best decisions of my trip; Hoi An deserves more than one night, and the town looks even more magical during its famous Full Moon Festival. 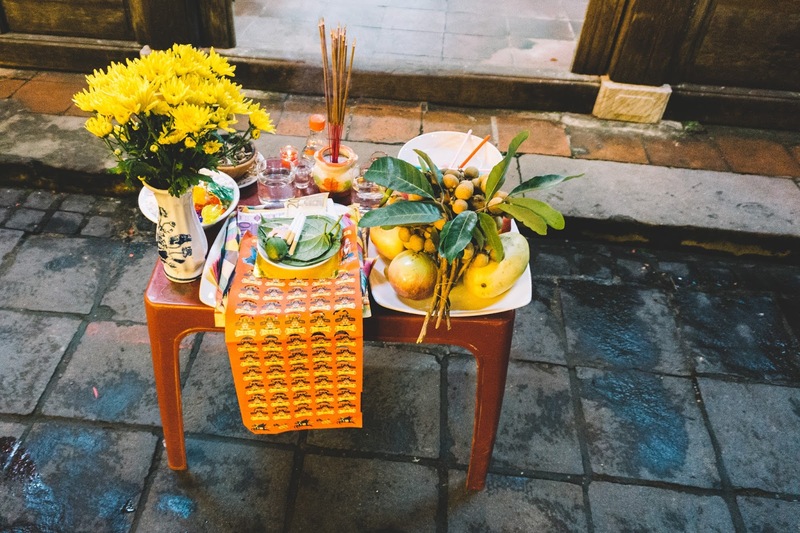 Hoi An holds its Lantern Festival on the 14th of every lunar month, with the focus on celebrating and honouring Vietnamese ancestors with the hope of prosperity and good luck. Locals fill the town with offerings of flowers and fruit, fires fuelled by fake money, and candle lit ceremonies, with the festivities by the river involving releasing lanterns out onto the water. The centre of the festivities is at the heart of the UNESCO old town, where the use of electricity is banned for the evening, and the streets are lit with thousands of multicoloured lanterns and candles. The busy streets which are normally dominated by scooters are closed completely to bicycles and motorised vehicles; although the festival is popular with both tourists and locals, so the streets certainly aren't quiet! The festival starts at dusk and continues on until about 10pm, with the party continuing onto the other side of the river in An Hoi. I headed down to the river as nightfall began, and gradually the water began to fill with candlelit lanterns as the festivities developed. Locals sell lanterns offering 'good luck and prosperity' along the riverbank for 5,000 VND (20 cents); but it didn't feel like an original part of the festivities as I couldn't help notice that the vendors were only talking to tourists! I headed slightly away from the action to find a quieter part of the river to watch the World go by and take some photographs as the evening became busier, or if you wanted to escape onto the water Sampan boat rides started at around 100,000 VND (€4) to travel alongside the lanterns. As you wander alongside the river, there's no shortages of offers of boat trips, lanterns or flowers, but I loved the atmosphere and enjoyed watching the world go by. I wish I had headed down a little earlier and got a table with a view in one of the coffee shops or bars to take in the atmosphere with a glass of wine or local beer!